Counters, work benches and along machinery. Raised square pods with deep valleys. Our platforms are developed for workers who are height wise physically challenged. 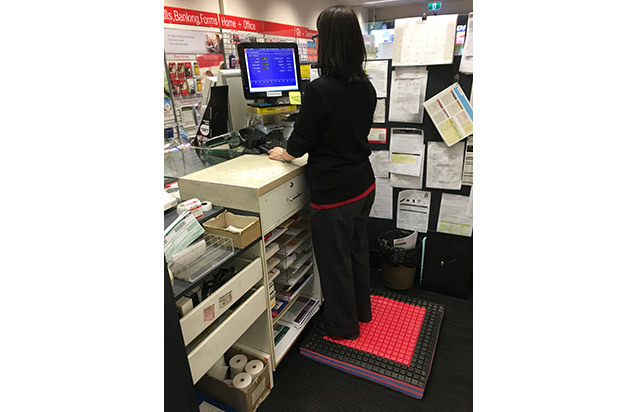 Essential in workplaces that have height restrictions for the Benches and where workers must reach up high above their heads. 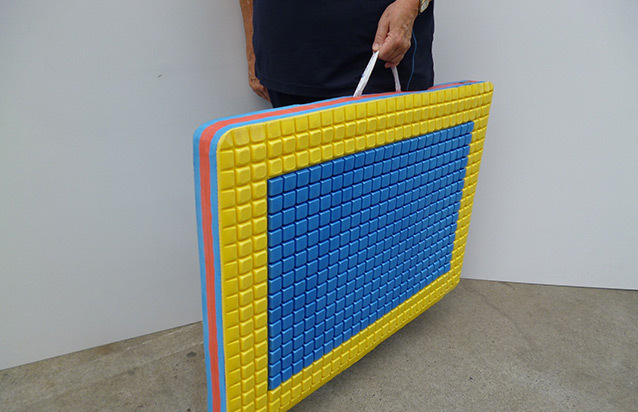 Multi – Coloured safety borders. Custom made to any size, height or dimension. The Power Pod Platform is Australian made and owned, and can be custom made to any size, height or dimension. 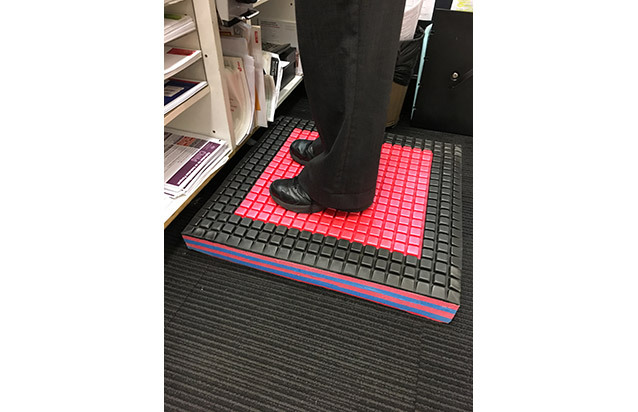 Our platforms are developed for workers who are height wise physically challenged. 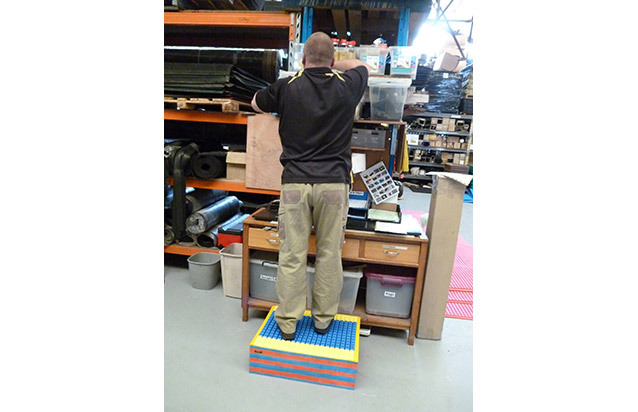 Essential in workplaces that have height restrictions for the Benches and where workers must reach up high above their heads. The Power Pod Platform has raised square pods with deep valleys providing excellent traction and comfort under foot. 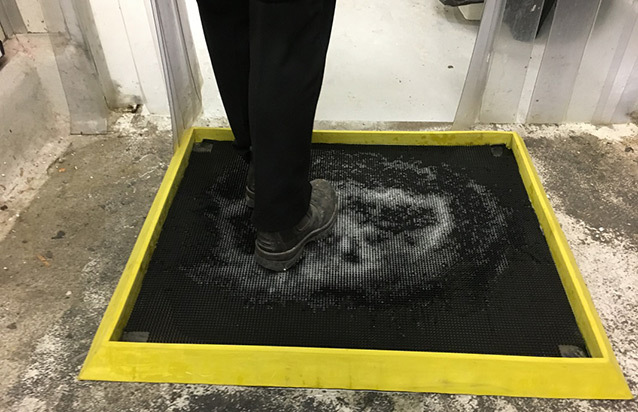 The top surface is impervious to oils, acids, chlorine and solvents, perfect for any industrial and warehouse applications. Easy to install – the Power Pod Platform is extremely lightweight can be installed permanently or as a temporary fixture. It can be easily moved and be put in to storage.